Board your Avalon Suite Ship® in Budapest-the “Pearl of the Danube”-after enjoying two nights in the “Pearl of the Danube.” Your Danube River trip embarks with an overnight cruise to Vienna to see the historic Vienna Opera House and stunningly beautiful St. Stephen’s Cathedral. Sail through the Wachau Valley, and stop in the beautiful villages along the way. Continue your Christmas cruise sailing to Nuremberg. Enjoy a guided city sightseeing of Munich and go on with a guided sightseeing tour of the glowing Christkindlesmarkt of Bamberg-complete with dozens of nativity scenes of every size. 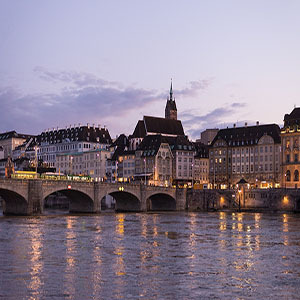 Savor the sights, sounds, and confections of Würzburg’s warm Christmas markets before sailing to visit a picturesque Main River Village. Enjoy Heidelberg’s sparkling Christmas markets during your stay, before sailing for the splendid French city of Strasbourg. Your European Christmas market cruise continues to Breisach and the Black Forest of Bavaria, where you’ll experience generations of warm and festive Christmas traditions-from Bavarian bretzels to Black Forest Cake and mulled wine, you’ll feel the Christmas spirit in this idyllic setting in the heart of Germany.